In 1978 and 1979, he was nominated by the Minister of Foreign Affaires of Portugal as General Commissioner of the Portuguese Pavilion at « Terre des Hommes » in Montreal. He was mandated by the government of Portugal to invite the three autonomous regions of Madeira, the Azores, and the Macao Territory, to participate in the exhibition in « Terre des Hommes ». His work was highly acclaimed by Continental Portugal and its three territories. The exhibition included a 250 seats restaurant. 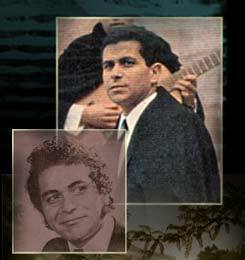 In addition to being General Commissioner, Germano Rocha gave dayly concerts. From 1983 to 2001, he ownes the restaurant. « Le Portugais » on Parliament Hill, in Quebec City. The restaurant was very successfull with local costumers and tourists, especially Brazilians. Germano Rocha is a member of the Quebec Musician's Guild, the Society of Composers, Authors and Music Publishers of Canada, « SOCAN », and is an honorary member of « La Confrerie de Oenophiles du Quebec ». Born in Portugal Germano Rocha majored in electro-technical engineering. While studying, he learned to play the guitar and sing. After working at the National Laboratory of Civil Engeneering, in Lisbon, he left for Paris where, introduced by the famous musicologist Jean Witold, he begins an international career as an author-composer-interpreter in the music world. He records many albums at Polydor, Barclay, CBS, Alvorada RCA, RGE, and Venevox, which were widely distributed. He made numerous tours in Europe and Africa before visiting Quebec. In 1968 and 1970, accepting invitation from the Quebec government, he participated in many radio and TV shows, including conferences on poetry and Portuguese music. He is now as he was then, chosen as a public image for product promotion for Portugal, including its airline «TAP».